Acquired brain injury (ABI) rehabilitation services are aimed at assisting clients who have experienced a traumatic brain injury or stroke and have residual functional limitations. Limitations arising from ABI can create barriers that affect full participation in daily life including self-care, independent living, meaningful work and participation in leisure pursuits. Our ABI programs enable clients to maximize participation at home, school, the workplace and other community settings. Programs are delivered in collaboration with the client’s medical team and other professionals to ensure a coordinated approach. Our assessments and recommendations consider the impact of aging with ABI to ensure supports and equipment will meet client needs over the long term. This assessment evaluates ambulation and mobility as well as physical issues including spasticity, balance & coordination and joint dysfunction. Recommendations for mobility equipment and home, gym or pool exercise programs are provided. This assessment determines cognitive, physical and psychosocial skill deficits that present barriers to partcipation in daily living and community life. Recommendations to facilitate skill acquisition in the use of cognitive compensatory strategy, address care requirements, provide family support & education and enable community integration are provided. In addition to occupational & physiotherapy services, counselling and speech-language therapy can be integrated into service delivery via our contracted service partners. Psychologists & registered clinical counselors provide assessment and treatment services which help clients adjust to disability. Issues such as impulsivity and anger, depression, anxiety, and support and education for the client's family and caregivers are addressed in treatment. Speech-language therapists provide services to assist clients in developing accurate and dependable communication strategies and may also provide swallowing (dysphagia) assessments. 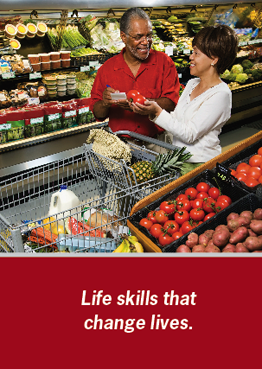 Structured and balanced weekly programs facilitate participation in a range of home and community activities and ensure functional gains realized in the Community Living Skills program are maintained. Rehabilitation Assistants provide one-to-one support to ensure ongoing participation in community activities. Ongoing caregiver support is provided by therapists. Clients are re-assessed by their therapist at regular intervals to ensure support levels, aides and activities are adjusted accordingly to meet changing client abilities and needs over time.